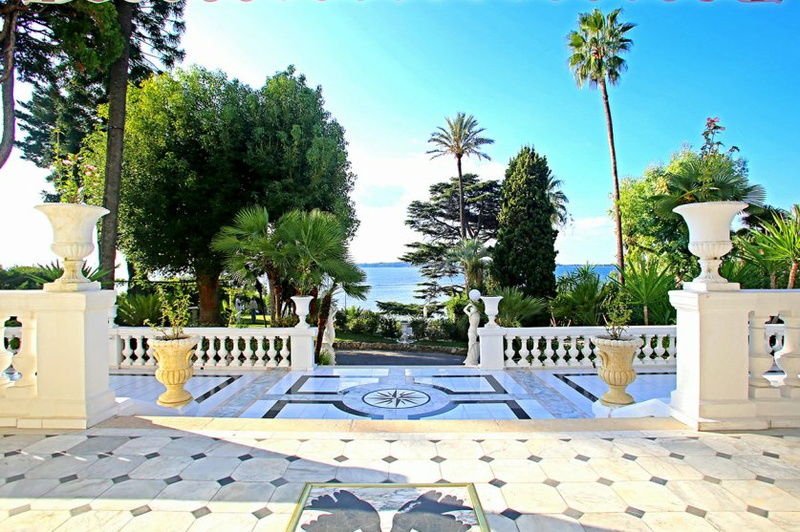 This magnificent property dates from 1871 and has been restored to it’s former ‘Belle Epoque’ beauty with all the latest standards of comfort and the most advanced technologies. The property is nestled in a lush green setting, with breathtaking sea views. 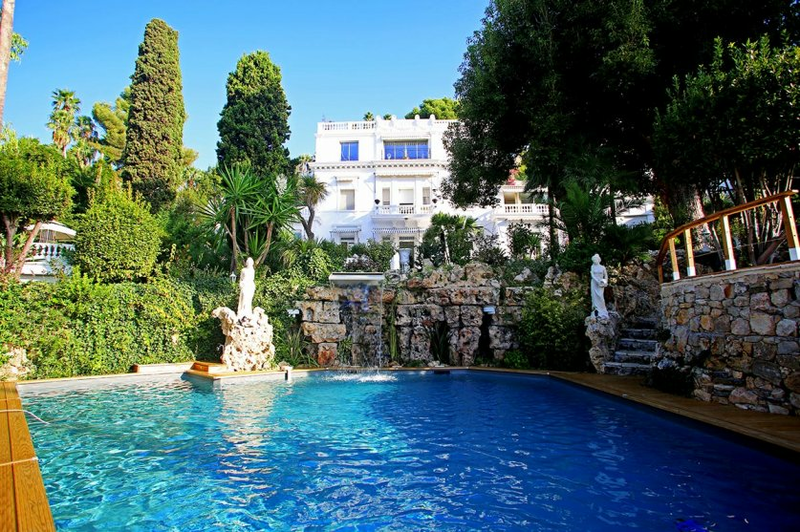 Located just a 5 minute drive or 15 minute walk from the centre of Cannes and the Croisette. sleeping up to 26 guests (or 30 guests using the 2 sofa beds available). There are superb sea views and over to the Cannes Lerins Islands. The apartment on the ground floor of the villa offers a large living/dining area with two living rooms with fireplaces and a dining table to seat 10 people. This large, light and spacious double living room leads outside through French doors to a fabulous entertaining terrace with sea views. There is a fully equipped kitchen. On this floor there are 2 master suites with dressing and en‐suite bathrooms, one which has a chromo/therapy spa Jacuzzi and 2 hotel‐style bedrooms with en‐suite bathrooms. On the upper floor (duplex), the central staircase leads to a library and has a sofa bed for two guests. There is another master suite on this floor with another guest suite and it’s own exclusive terrace. There is also on the same wing of the house an apartment with 2 bedrooms, a kitchen and living room with sofa bed. Just down from the house there is a studio with an independant kitchen and bathroom. There is a guest villa located on the side of the park which offers 2 bedrooms both with en‐suite bathrooms. These also have an adjoining door. On the right side from the main house, there is a guest apartment with 2 additional bedrooms. Underground there is a small private nightclub for around 25 guests, integrated sound system, TV, A/C and bar. 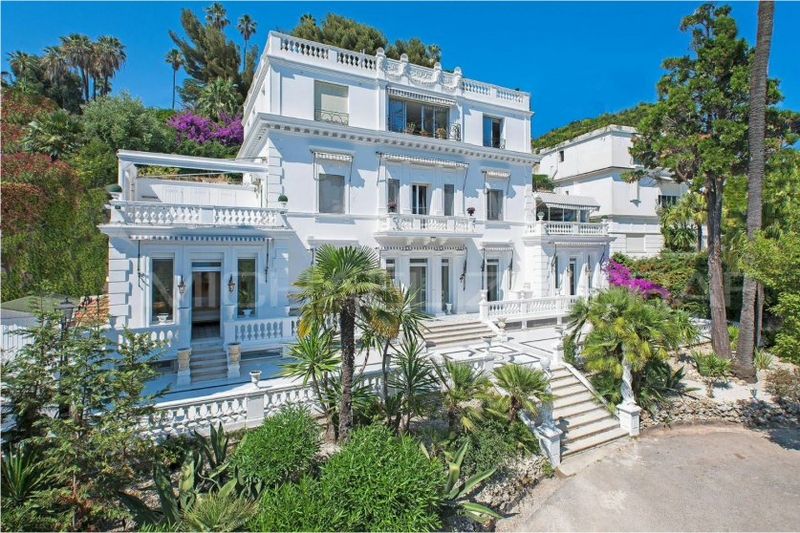 including the large exterior terrace that runs along the front side of the villa with sea views. There is a heated swimming pool with exercise swim jet, deck terrace and small waterfall, Jacuzzi, Sauna, open‐air gym all with sea views. The summer dining terrace offers sea views, a summer kitchen and barbecue. The sweeping driveway offers parking for 30 cars. A perfect property for your vacation, corporate or private events and weddings.